Although it's tailor-made for jazz, the Ibanez Artcore Expressionist AG95QA fits nicely into an array of musical circumstances. Its eye-catching quilted ash semi-hollow body supplies you with a loud, crisp tonal character that projects strong mids and abundant low end. Plug into a high-headroom tube amp, and you'll love the smooth, nuanced tones you get from the AG95QA's twin Super 58 humbuckers. Or cook your tubes a bit and enjoy a biting, bluesy growl. You'll appreciate the easy playability of the AG95QA's 3-piece set-in neck, while its ART-1 bridge ensures ample sustain and tuning stability. Complete with a bound ebony fingerboard, the AG95QA is a fine semi-hollowbody guitar. Ash is a supremely musical tonewood, which is why Ibanez chose it for the AG95QA. It's surprisingly loud- and crisp-sounding, with copious amounts of midrange and bass. Its brightness is balanced nicely with a healthy dose of warmth, and everything is framed with a focused, high-end "pop." The AG95QA's semi-hollowbody construction also contributes a massive level of projection. Beyond that, you'll find the AG95QA's quilted appearance difficult to take your eyes off of. The Artcore Expressionist AG95QA is loaded with a pair of Ibanez's Super 58 humbuckers. These pickups are a favorite amongst jazz musicians including George Benson, Pat Metheny, and John Scofield. That being said, guitarists in other genres love them, too. Just ask funk extraordinaire Eric Krasno! With these pickups, you can conjure up everything from a smooth, nuanced sound all the way to a biting, bluesy growl. You'll also enjoy warm, balanced articulation and excellent response. These flexible humbuckers, along with three-way pickup switching, supply you with a wide range of useable tones. 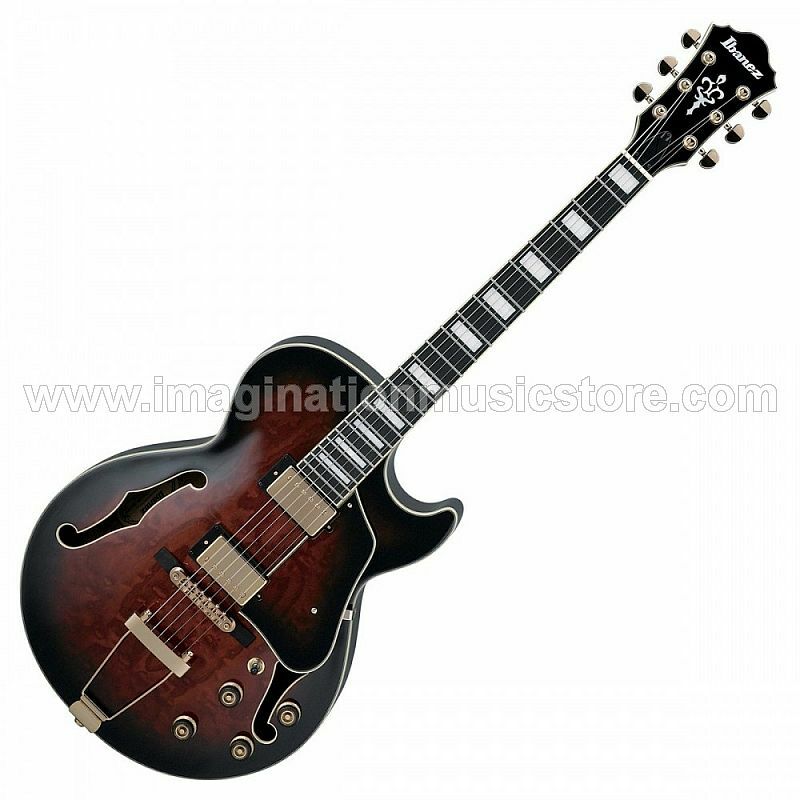 Semi-hollowbody guitars are used in most genres of music. The AG95QA is great for jazz, rockabilly, and many other styles of music. At Sweetwater, we've seen this style of electric guitar used in rock 'n' roll, fusion, and even country. Get the AG95QA and start playing with big, fat semi-hollowbody tone.